Bethany Heights offers apartment homes and additional services to meet each individual’s needs. 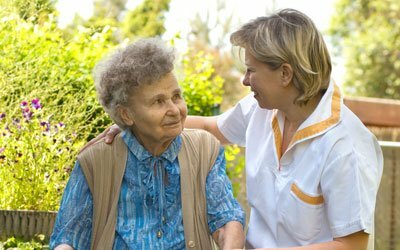 Our purpose is to design a personalized care plan to meet each person’s needs while they remain as independent as possible. Our programs provide opportunities for residents to enjoy an abundant life; full of relationships, joy, meaning, and dignity. Contact us to learn more about our programs at Bethany Lutheran Home. Since 1975, Bethany Lutheran Home has been dedicated to helping people meet the challenges and enjoy the blessings of aging. Bethany Lutheran Home was founded and sponsored by 15 area Lutheran churches in 1975. Today we embrace all faiths. Bethany Heights originally began as an independent living facility in 1991. In 2008, as the needs of seniors who resided at Bethany changed, the facility was converted into a licensed assisted living facility. Bethany Heights offers apartment homes as well as additional services for seniors to ensure to meet the needs of each individual. We strive to do our best in meeting the needs as well as desires of our residents and tenants as they reside at Bethany. The experience is both a give and take, and you must be willing to share your experiences with them but also be willing to listen to their stories. Each of you takes something away from the experience. The skilled personnel attending to every need while supporting us through the difficult moments. Mom was treated with dignity and respect and for that I will be forever grateful to the wonderful staff. You are all truly angels. Thank you.